Idyllic gem, surrounded by olive groves, close to the sea. Property 9: Idyllic gem, surrounded by olive groves, close to the sea. Lefkogia Cottage in a farm! Only 1 km from the beach. Yes! You can have it all! Property 11: Lefkogia Cottage in a farm! Only 1 km from the beach. Yes! You can have it all! Cottage In Ialyssos, In The Countryside, Close To The Sea! 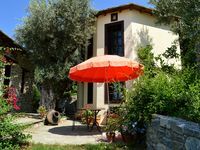 Property 17: Cottage In Ialyssos, In The Countryside, Close To The Sea! Afroditi Villa, goddess Of Beauty And Pleasure In Cretan Nature! Property 19: Afroditi Villa, goddess Of Beauty And Pleasure In Cretan Nature! Property 22: Delightful Holiday Cottage Finished To A Very High Standard. Renovated medieval cottage 200 sqm at Andros, accommodates up to 8 guests. Property 42: Renovated medieval cottage 200 sqm at Andros, accommodates up to 8 guests. We can&rsquo;t wait to come back! We loved everything about the Lemon House and Ano Gatzea. Being nestled amongst the olive and lemon trees with the view of the sea was magical. We arrived in Volos by bus from Athens and had the best gyro of our entire stay in Greece right at the port. The bakery is a must...we were there every day and made sure we bought things to take with us on our ferry ride to Skiathos. I was sick with a cold during our stay and the local pharmacy was very helpful and caring when my husband went to buy medicine for me. Due to being sick we didn&rsquo;t do much walking but we are looking forward to returning and exploring...Richard has all the info you need to go on different walks and hikes. It is definitely worth the drive to go mylopotamos beach as well. Villa Ostria in Lefkogia Farm is one of the best homes we stayed ever! 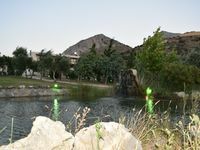 We have just came back from a wonderful vacation in south Crete, much of it thanks to the lovely place we stayed at. Villa Ostria is most welcoming - comfortable, very nice designed and decorated and very cozy. Wonderful Betty is continently taking care of all the rest to give her guests the best hospitality ever (a treasures welcoming basket, fresh eggs from the farm, her own made fantastic Mille Feuille... etc.). The farm is located in a beautiful area, spectacular views and very close to more than one lovely beaches. Altogether, most most recommended!